Victorian B&B! For us that survived yesterday's 'End of the World', we want to wish you a wonderful Holiday and a Merry Christmas! Along with our best wishes, please allow us to share some pictures of Christmas past with you, including an old Christmas Card when the B&B was known as the Richardi Bed and Breakfast. 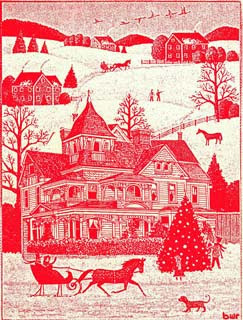 We believe the card was crafted by past owner Barb Richards back in 1989 - . Great Job! Popular Holiday or Christmas Gift - We Offer 'GRAND' Gifts ! 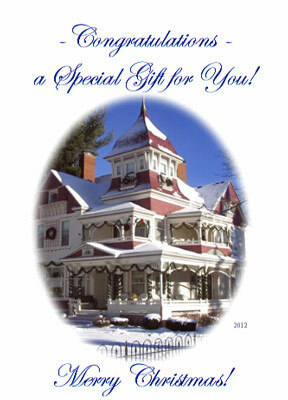 ﻿﻿﻿﻿﻿﻿﻿﻿﻿﻿﻿ A stay at the Grand Victorian makes a wonderful gift for that special someone! Whether a loved one, parents, relatives, or a co-worker, why not gift them true pampering at its finest? Our gift certificates can be purchased for a complete stay or for a specific value - your choice. Either way, the recipient will treasure their experience at the award-winning Grand Victorian B&B - fondly remembering your thoughtfulness for a long, long time! Your order is sent ready to present complete with custom greeting card, envelope, and an attractive high-quality color brochure. Every year at this time we are encouraged to set aside our busy schedules and reflect on those who gave their time, their skills, their security, and (all too often) their lives for America. 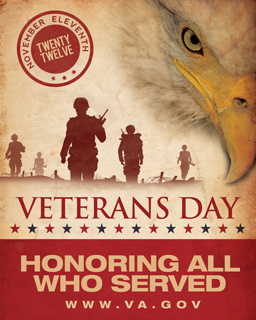 Monday November 12 is the official Veterans Day for 2012 so please take time today to honor members of our military and their leaders - thanks them for the security and freedom we all enjoy. May we not take for granted the sacrifices so many have made and please raise a prayer for our current military members and government leaders that they might not lose sight of the unique foundation this great country was built upon - May God Bless America! Here are some snapshots of activities in and around the Inn this past Halloween. Lisa Rames rocked the front porch while local caspers, gouls and gobblins, witches, spidermen, and ironman approached to gather their treats. 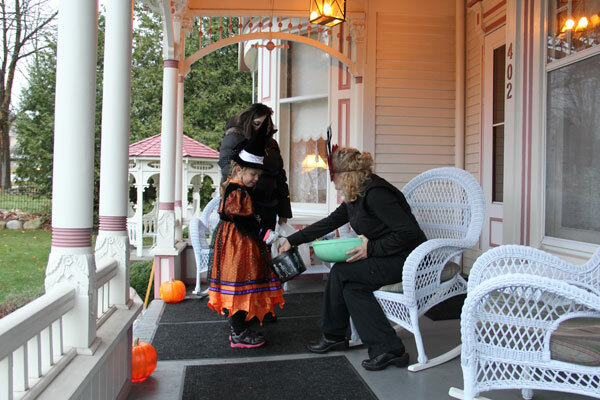 Once again, well over 100 trick or treaters made their way up the sidewalk to the Grand Victorian porch. 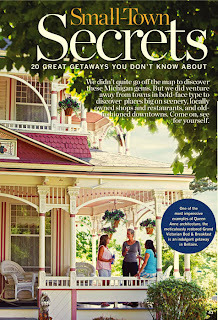 New Pure Michigan Travel Ideas magazine features the Grand Victorian! The State of Michigan's official magazine promoting "Michigan Travel Ideas" was just published and the Grand Victorian received some fantastic coverage! CLICK HERE to view some of the article on our website. The magazine will be distributed all year long in visitors centers as well as for online Ordering and Viewing. We are so proud to be a part of Michigan and able to promote Northern Michigan as THE place to play and stay!